Big Brother or Teacher is watching you... So make sure you get your reading completed... Don't let down your Reading Group!! Please review the Character "Fakebook" assignment. We will NOT be using the actual Facebook, just another site. This will be an ongoing major project throughout the course of our unit; therefore we will be adding to it as we read our novels. The Rubric for Evaluating the Character Fakebook... click on the link. Go in using Chrome, it's faster!! *there are so many versions of people creating audiobooks, I'm sure you can find one. Hunger Games Entire Audiobook - scholastic publishing. There are more chapters on YouTube for you to find! Click on one of the other links. 1. Sort the following Dystopian Related Vocabulary into 4- 6 categories. Discuss with your group why you categorized your words the way you did. 2. From your chosen vocabulary for your Dystopian Novel for Section one you are going to sort the words you selected into the Dystopian Categories, from part 1 (above). If there are words that do not fit the categories, then create new categories as needed. Make sure you read section 1 for Tuesday and with sticky notes, identify examples of dystopian characteristics and powerful language. 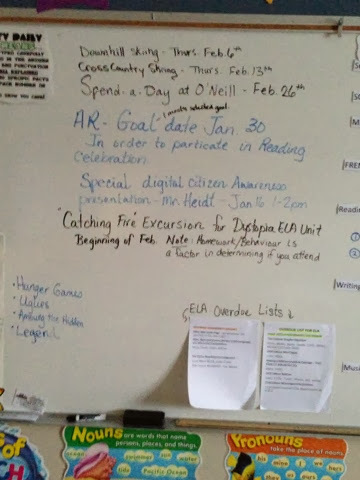 It's time to get started with our Dystopian unit!! Here's a link to setting up group expectations before we begin. 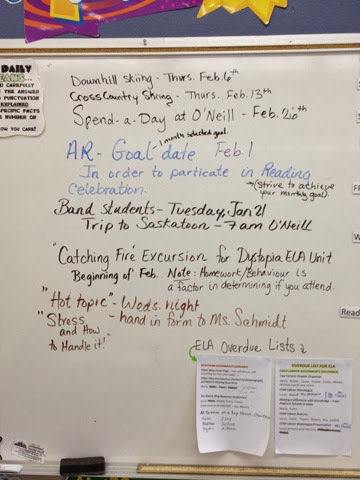 Literature Circle and Book Club Assignments for the next 6 weeks. Dystopian Controls in the Movies!! Complete the questions for the short story, "The Lottery" on looseleaf. Be sure to write in complete sentences. 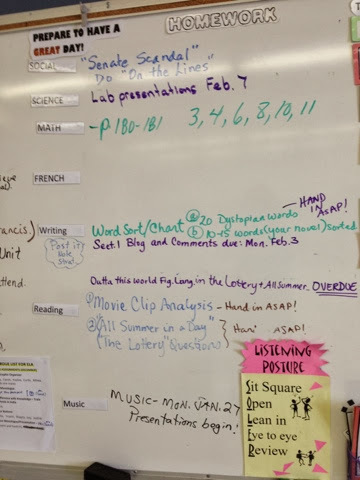 BE SURE TO COMPLETE THE ASSIGNMENT FULLY, WRITE YOUR NAME ON THE PAPER AND HAND IN TO READING. Just as the Matrix explores Dystopian Controls, there are many other movies which explore dystopian controls, some even go back to old black and white movies! See the links below to watch movie clips which explore dystopian controls. Complete the chart using your Reference Handout for Dystopian Controls and Characteristics. Dystopian Controls in the Movies handout. Dystopia Controls and Characteristics handout. Here are the links, just in case there is a problem with Google docs... Sorry they are not in order with the handout. * Original Black and white film with English subtitles. Metropolis is set in the year 2026, when the populace is divided between workers who must live in the dark underground and the rich who enjoy a futuristic city of splendor. This work is one of the earliest examples of a dystopian film. The following three scenes provide an overall glimpse of the dystopian characteristics that are present throughout this film. The first two scenes depict the drudgery of daily work on an assembly line. The third scene shows images of what the director pictures as what the world of the future will look like. Watch this slide show to explore figures of speech. Read through the different forms of figurative language on Kids Connect. Figures of speech games to go with activity. Complete 6 word charts for the Short story, "All Summer in a Day". Due Weds. Sites to help you that are good visual thesaurus and dictionaries. Being that I am not here. 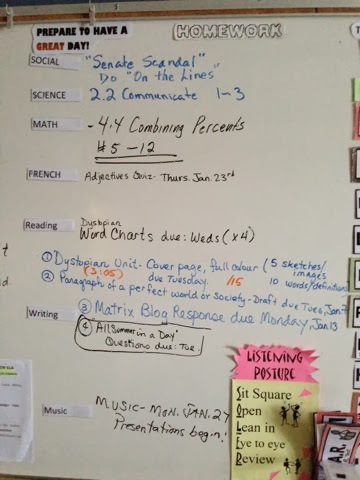 I thought it would be easiest to post DOL via my blog, so that it can be projected on the whiteboard. See DOL Sentences link here! Do the Day 1 and 2 sentences (yes, I know it's Day 3!). This means you will complete 4 sentences in total. 5 sketches that reflect the theme, 10 phrases which explore your idea of a perfect world. * Note all information is in the handout in the Google Doc that was previously posted. Check out the this tribute! 50 rods of steel to symbolize his years of imprisonment - constructed in memory of Mandela.